During this pre-arranged visit, one of our exceptionally experienced and supportive team members will examine your mechanical handling requirements with you and do a point by point assessment of your premises. We believe the best way to get the correct equipment for the site is to do a FREE no obligation site survey, which allows both ourselves and you to see the benefits of different types of Forklift Trucks that you may require for your operation at your premises. Whether you are an established business, with many years of experience operating and managing Forklift Trucks, or you are new to the needs of Mechanical Handling, our Site Survey will review your full operation needs of the Truck, establishing your true requirements and any restrictions that may need to be addressed prior to delivery. 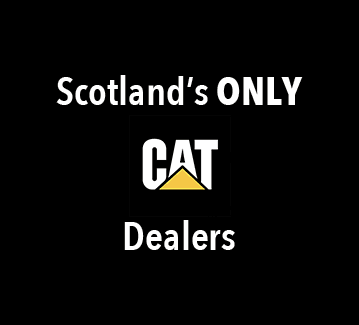 We remain at the forefront of understanding Forklift Trucks and their operational requirements, and with the support of our CAT® Dealership, we are in a confident position to know that we can identify the right Forklift Truck or Warehouse Equipment for you and your business. 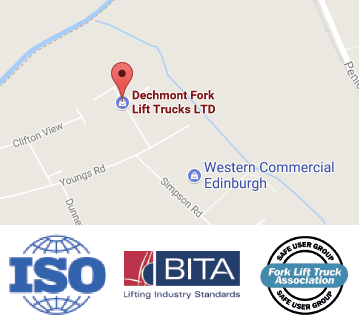 Customers should contact Dechmont Forklift Trucks for a SITE SURVEY where we will arrange to visit your site and assess your requirements, enabling us to recommend the proper equipment for your operation, and also check for any possible height restrictions for mast heights and loads that you may be moving or loading/unloading – a consideration often over-looked prior to our expert advice. We pride ourselves on ensuring the right Forklift Truck or Warehouse Equipment is delivered to you. This is why we offer a FREE SITE SURVEY. A site survey allows us to discuss fully with you the needs of your business for lifting equipment and the limitations that may be present on your premises. This may be doorways for delivering the Trucks, or Gangways with limited width for certain types of Trucks and Equipment. We can perform a full review and assessment of this and advise you on the options and correct equipment available to you. You can also discuss with our surveyor any concerns that you may have in terms of the space you need, and any on-going service and thorough examinations that are required to keep you on the right side of Health & Safety Laws.